Brick Town Talk: Inspiration of the Day - 8/5/11 - LEGO Town, Architecture, Building Tips, Inspiration Ideas, and more! 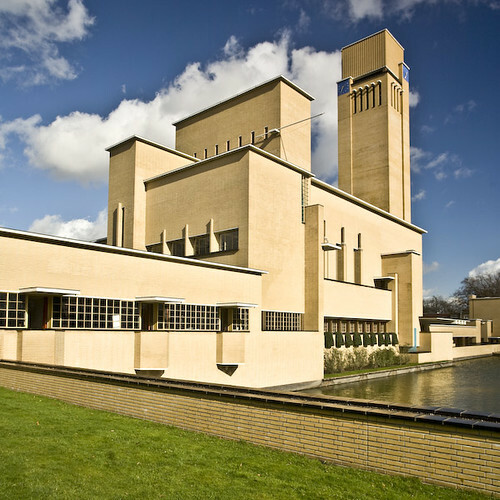 Hilversum, The Netherlands - (BTT) Proving great massing trumps all, Willem Marinus Dudok's Hilversum Town Hall, completed in 1931, shows a surprising amount of depth despite the limited palette and simple details. Going forward, I plan to pick a different architect every week and post one of my favorite buildings from their career. I do actually look to these precedents when creating my own projects, and hope they provide you the same inspiration.